This travel guide covers Jomalig Island, the easternmost island in the province of Quezon, the Philippines. Jomalig (pronounced as humalig) offers breath taking views and pristine, golden sand beaches with turquoise waters. It is also a place where you can eat deliciously fresh seafood. 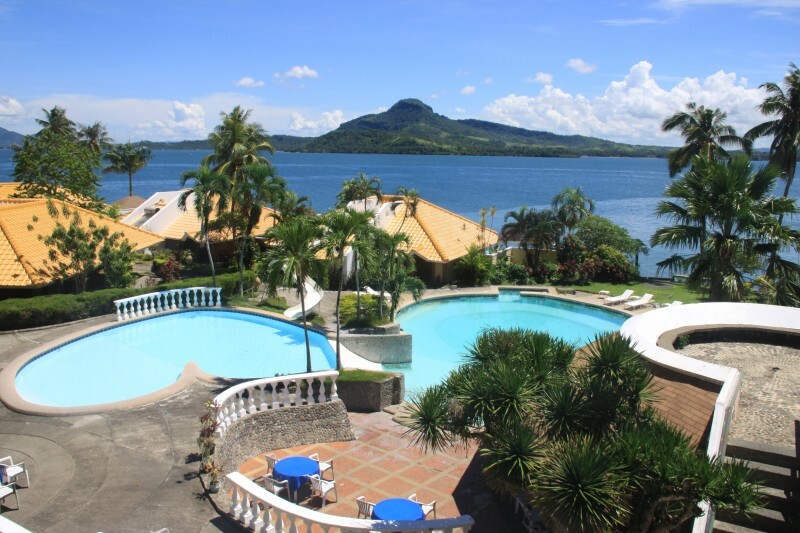 I went here on May 18-20, 2012 with Melo of OutofTownBlog.com during the island’s lone municipality founding celebration. On May 18-19, 2013 I went here with my old office mates. The lone municipality on the island consists of five barangays and with a population of 6,111 based on 2007 census. The island municipality is surrounded by turquoise water that is rich in marine life, where most locals get their livelihood. Recently, tourists started to notice Salibungot Beach and its long coastline of golden sand that is surrounded with Agoho trees. From Manila, ride an Infanta-bound Raymond bus at their Legarda terminal that usually leaves every hour. Get off at the docking station in Real near the school. Travel time is four to five hours. Alternatively, you can have a more private journey (albeit more uncomfortable?) if you ride a van located near Raymond bus terminal that costs P180 P220. Travel time is three to four hours. From the docking station, ride a boat going straight to Jomalig Island. They usually leave Real before noon (10 a.m. – 12) for a five to six hours boat ride. Fare ranges from P200 to P350, depending on the type of boat. Note that these are not commercial boats but cargo vessels, you may have to share the boat with . It is possible to go to Jomalig Island by air as it has an airport (ICAO: RPLJ) but as of this writing, there has no scheduled service on commercial airlines. However, you may avail the charter services of Mr Gabulla for 7000 per pax, minimum of 2 pax. You may contact call him at +63-9178542626. There are no bus nor jeepney in the island but you can get around by riding a multicab, tricycle, or a habal-habal. Drink Jomalig Island’s version of lambanóg. Like all other pristine islands in the Philippines, there are no hotels to be found and the only place where tourists can stay is to rent a room from the locals. One of the first to rent their rooms is the Tejada Family, related to the Tejada that’s currently a town councilor. Located at Sitio Landing, they have rooms with private toilet and bath for P500 per night they also have rooms with common toilet and bath for P300 per night. Situated near the beach, Tejada’s place has a great sunset view. If you want to spend the night at the beach, bring your gears as camping is allowed for free. Ready to go to your next destination? Boat from Jomalig straight to Real leaves anytime between 10 a.m. to 12 noon every day (or at least that’s the plan). If in case there’s no boat going straight to Real, you may ride a boat to Patnanungan where you can transfer to the one going to Real. I love going back to Jomalig, it’s one of my favorite beach place and it appears in a photo carnival hosted by The Nomadic Family. Thank you for this post. We are planning to go to this island and I find this blog entry really helpful. Cheers! This is Dr. Rita Mae Ang, Municipal Health Officer – Doctor to the Barrio of Jomalig, Quezon. We, the Municipal LGU, are preparing for a Tourism Promotion in partnership with the Quezon Provincial Toursim Office and SM Lucena which will be held on April 26-27, 2013 in SM Lucena. In line with this, we are compiling photos of scenic views in our island for the Photo Exhibit which we will set up at the SM Events Center. We would like to ask permission for the use of your unedited pictures for the said photo exhibit. Rest assured that you will be properly acknowledged for the photos. Hoping for a positive response from you. Thank you very much! Hi Queenie, you may want to talk to Ate Malou. She’s connected with the Office of the Mayor regarding the tourism in Jomalig and would gladly answer your questions. Here’s her number: +639299573655. Please let her know you got her number from Galwin.